Lakmé Lip Love Conditioner is a gel-based lip softener that nourishes your lips and forms a protective layer against dryness. Pair this with Lakmé Lip Love Lipstick for sensual results! It has the goodness of Shea Butter, Jojoba Oil and High Shine Polymers alongwith SPF 12. Comes in 4 shades – Charmer, Flirt, Hottie, Siren. Price: INR 225 for 3.5grams. Available at all Lakme counters and many online sites. 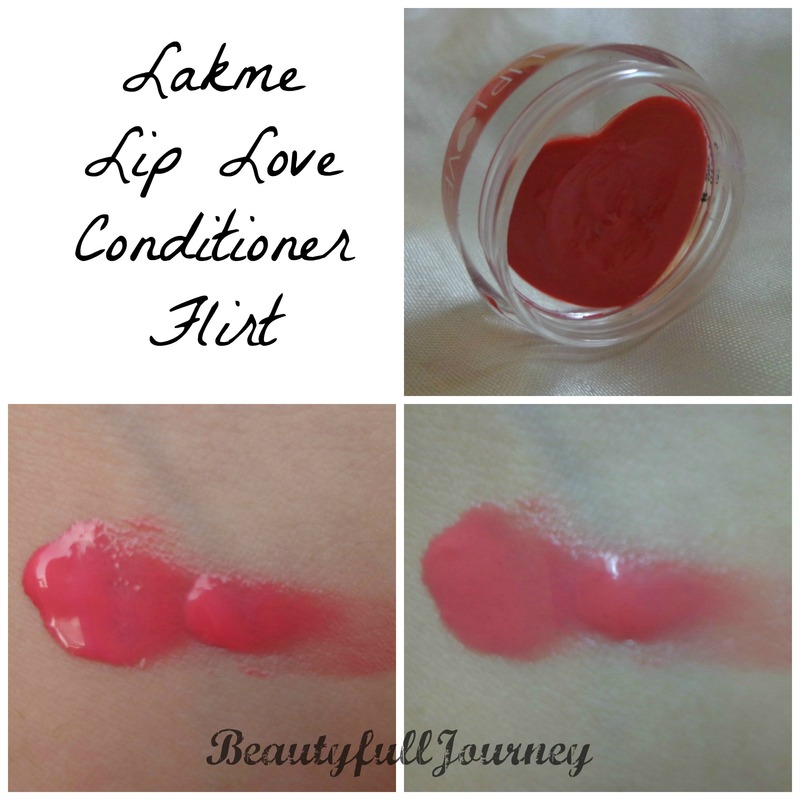 The Lakme lip love conditioner is quite an old product, I have since 7-8 months almost but have used it less because of all new products that I keep buying. But recently I’ve been using this a lot and have really fallen in love with it completely! The pot has a screw on type lid which is red and metallic and looks great! The pot itself is simple transparent plastic. The packaging is very light and can sit inside your handbag comfortable without opening up or anything. It shuts tightly and is totally travel friendly. One more small problem with the packaging is that there is no sticker or mention of the name or shade on the pot. 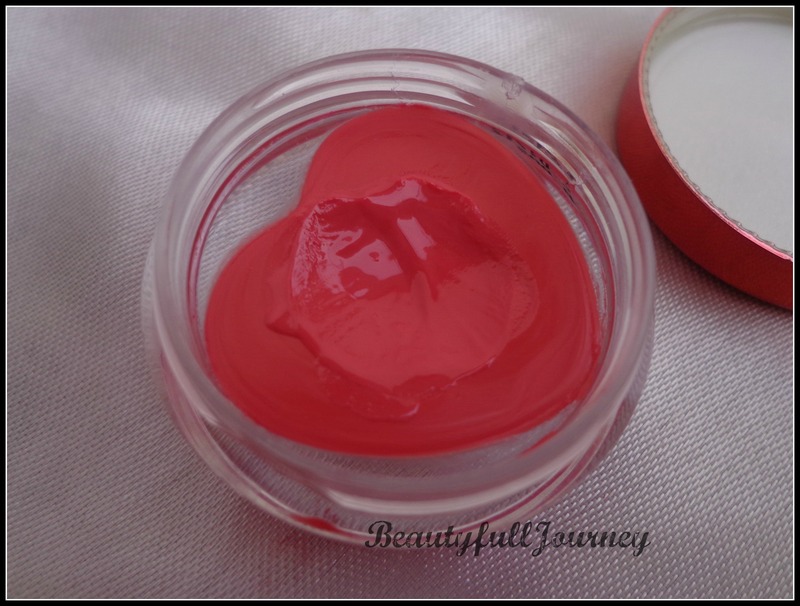 These are essentially tinted lip balms with an extremely soft and gooey texture! It remains soft even in winters. The texture is very nice. One thing I love about the texture is that it doesn’t feel sticky at all on lips. But that compensates on the staying power. This wears off from my lips in maximum 2 hours. 😦 But lips remain soft after that too. The tint of this lip balm is quite good. It’s not very pigmented and gives a sheer glossy finish with decent amount of tint on lips. The tint is perfect for daily wear to college or office or just to the market! 🙂 the finish looks very pretty and natural on lips! Talking about the moisturization, this doesn’t give rich moisture but it makes lips very soft and supple. My lips look very healthy once this wears off. But it’s not moisturizing enough to heal chapped lips. Since the finish is glossy and the balm doesn’t really get absorbed or anything, this transfers easily onto cups etc. 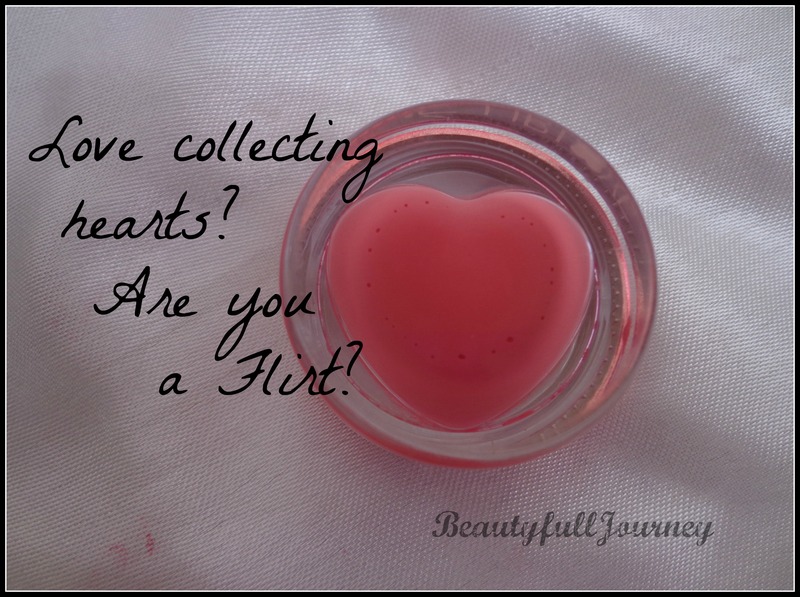 The shade that I have here, Flirt, is a pinkish coral which has more of pink and very little coral. It’s a very pretty shade and looks very natural and pretty on lips. 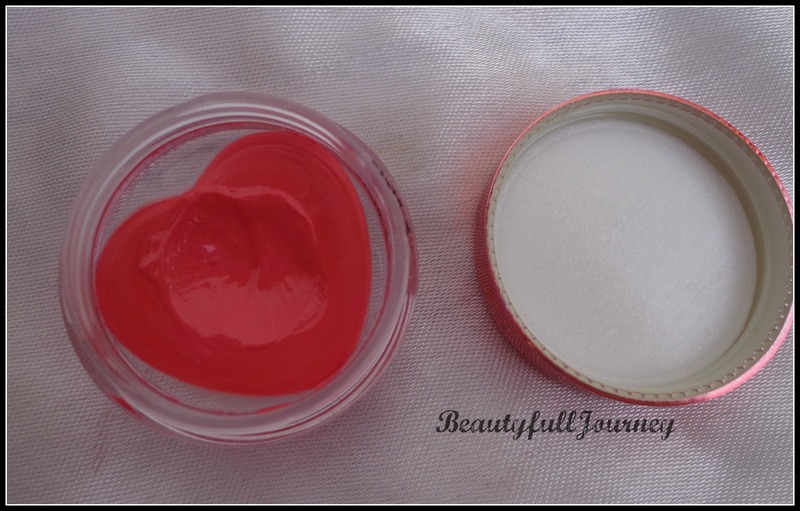 These lip balms are said to be dupes for MAC tinted lip conditioner(Rs.1000). I’ve tried the MAC one at the store once and I would say the texture felt very very similar! So, you can try this Lakme one at, like, 1/5th the price but the quantity of MAC is 15ml! It’s quite reasonably priced I feel for the good quality and quantity and you wont regret having this with you! Overall, it’s an adorable tinted lip balm! Softens lips and gives a nice natural wash of colour. Affordable and easily available. Highly recommended! 5) Very nice glossy finish. 8) Very pretty shades available. < Previous Your chance to star with Sonam Kapoor!!!! Next > REVIEW: The Nature’s Co Coffee Face Scrub. I not reading the dislikes.. 😛 :P.. Love it for their packaging and color.. I can buy it just to adore my dresser.. ❤ ❤ itt! !